Overtime has been a challenge that the Carolina Hurricanes have not been able to overcome in recent years. Whether it has been the overtime period or in shootouts, the ‘Canes have languished, leaving valuable points on the ice. If the team wants to be a contender for a playoff position next season, this is an area that the team must address. In a previous post, “Hurricanes: Out of the Gate,” we looked at the struggles they have had getting a good start the past few seasons. Here we will look at another nagging problem: finishing in extended games. As the last several seasons have shown, the Metropolitan Division is brutal, with every single point valued at a premium. 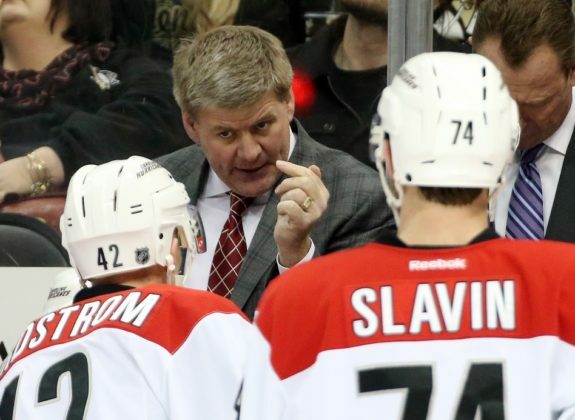 With teams like the Pittsburgh Penguins, defending Stanley Cup Champions now for the second season in a row, the Washington Capitals and the suddenly stout Columbus Blue Jackets, nothing is going to get easier for the Hurricanes. In fact, each new season seems to bring an even more challenging set of rungs up the ladder to playoff contention. Overtime and shootouts must be taken seriously. Last July, we posed the question, “Can ‘Canes Find Seven Points?” It was an overview that is very similar to where the Hurricanes ended up this season, running out on overtime. In 2015-16, the Hurricanes had 16 overtime losses, and only won two of seven shootouts. They missed the playoffs that season by seven points. Though not based on advanced analytics, the article pointed out that if the ‘Canes had won just half of those 16 overtime games, they would have had the points necessary to get into the playoffs as a wild card team. To extend the season, a team needs every single point they can get. Sometimes this gets lost when it’s mid-November, for example, and there are still 60+ games left to play. But, when the season starts to get to the point where analysts are saying, “Mathematically they are still in it,” those overtime points are worth gold. This season was similar to last for the Hurricanes. They missed the playoffs by eight points. They earned 87 points while the Toronto Maple Leafs made it in as a wild card with 95. Their shootout record was better than last season’s, with three wins and 6 losses, though 6 points were still left on the ice. Their shootout record ranked 17th in the League. The Hurricanes’ overtime record overall was 8-15. They won five overtime games and lost nine. Compared with last year’s 16 overtime losses, it is a small improvement. But, the truth is that the ‘Canes dropped 15 points in situations where they had an equal chance to claim them. Not to be redundant but these stats illustrate that if the Hurricanes want to climb up the playoff ladder, they must improve their results in overtime and in shootouts. What if they had won half of the games they lost in overtime? It’s simple math: the Hurricanes on paper would have had seven or eight more points, and been right there with the Maple Leafs. A look at the best teams is revealing to a point. The Penguins won the Stanley Cup Finals while having registered 11 overtime losses. The Ottawa Senators made the playoffs with 10. But, of the eight teams in the Eastern Conference that made the playoffs, five had single-digit overtime losses. The Maple Leafs interestingly had 15, just like the Hurricanes. That’s going to be a big priority this summer, obviously. We’re going to dive into that. There’ll be a lot of time spent on the three-on-three and the trends developed from the successful teams and the unsuccessful teams. Shootout, obviously, that’s a one-on-one skills competition to a certain degree. If the Hurricanes want to make the playoffs, it must be better.